When it comes to our customers’ satisfaction, we have one rule: settle for nothing but the best. That’s why we work only with premium quality products and manufacturers, that are guaranteed to deliver to our high expectations. 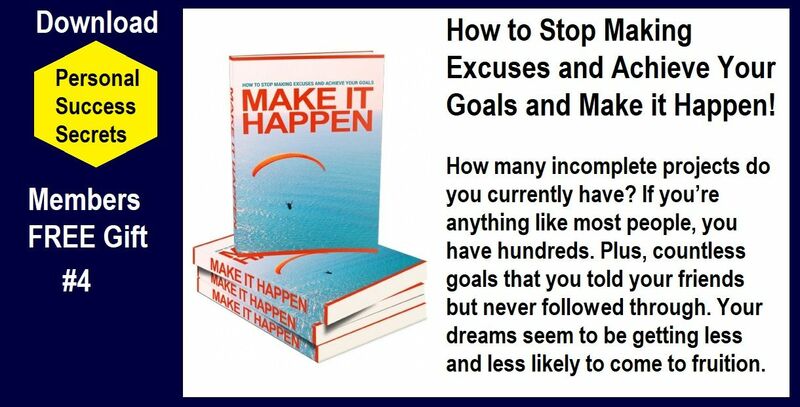 Why should you order this product? 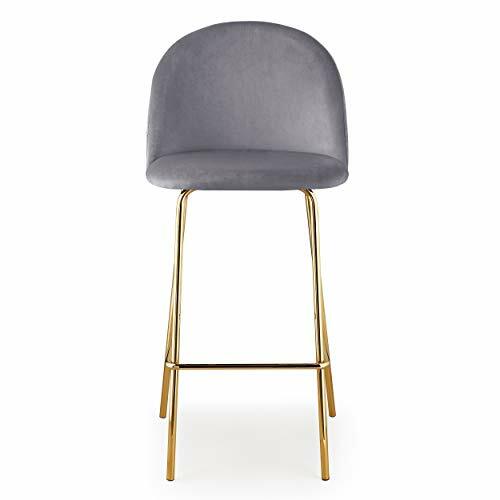 Finding the right stool for your business or home is a challenging task, mainly because regular products on the market are either poorly designed, employ low quality materials or are simply way out of your budget limitations. The amazing M62 chair set offers an inexpensive, superior quality alternative that guarantees to restyle any room within minutes! Some of the great features of this product: Superior materials, velvet seating, steel frame; Slab foam filling cushion; Tailored-stitching hard backrest; Incorporated footrest improves posture; Available colours: grey, navy-blue; Gold frame finish; Set of 2 chairs. 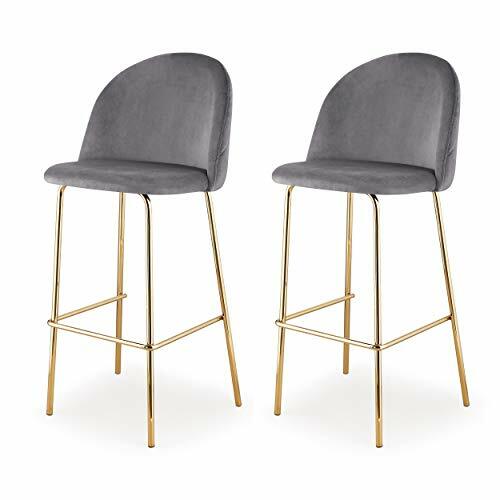 ADD TO CART NOW and you’ll fall in love instantly with this 2 piece set of elegantly designed stools!WHAT YOU NEED: Whether you’re the proud owner of your very own pub, café or restaurant, or you simply have a modern kitchen counter, a stylish and comfortable seating option is always needed. Transform any dull room and add a pinch of colour, all with minimum budget! PREMIUM QUALITY MATERIALS: The M62 counter height stool comes with a sturdy, resistant steel frame, guaranteed to last for many years of intensive daily use. The velvet seating upholstery and slab foam filling of the cushion are of superior quality, while the tailored-stitching backseat details add to the modern design of the chair. 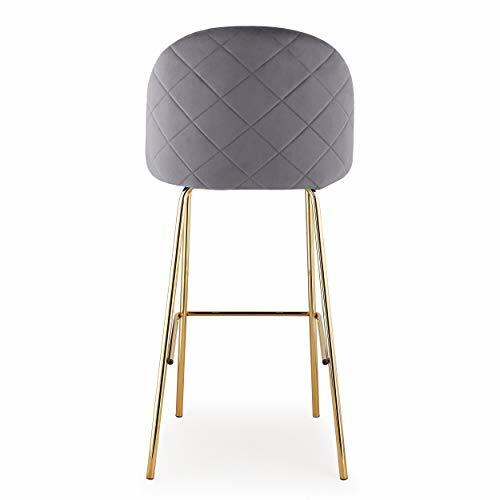 INCORPORATED FOOTREST: This gold finish stool is developed having your comfort and health in mind. The comfortable square-shaped seating and strong base are complemented by a well-designed metallic footrest, helping maintain and improve your posture while providing your lower back the support it requires. 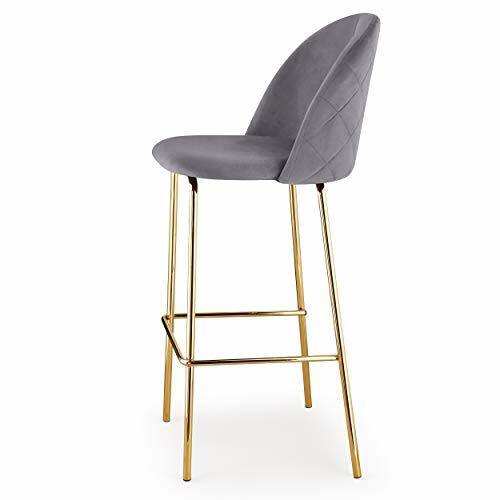 TIMELESS DESIGN: Never go out of style with this elegantly constructed stool with gold frame and velvet upholstery! Order it in grey or navy blue and match any décor with the stunning gold contrast, for a full makeover! COST-EFFECTIVE PACK: These counter height stools come in sets of 2 for a special price, an inexpensive alternative to redecorating on a budget. Reshape and add a touch of elegance to any space with minimum time and financial investment!